What do you do when a parishioner tells you that his or her marriage is in trouble? What should you say? What resources can you turn to? In this helpful book for clergy, Charles Rassieur provides some clear and practical answers. 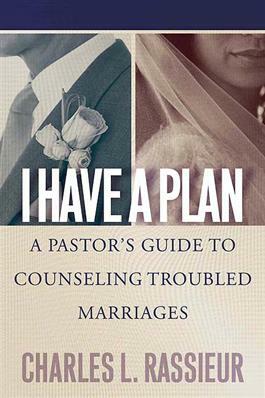 Pastors will find in this book a plan for short-term counseling with married couples that gives the pastor a quick plan to put in place at the first signs of marital trouble. Because the plan for short-term counseling is simple, straightforward, and focused, it allows both the pastor and the married couple to concentrate on the problems with confidence. Rassieur presents a detailed outline for short-term counseling that focuses on the issues that are at the core of most troubled marriages, so that within just a few sessions the pastor will be ready to recommend next steps, which may include a longer-term plan for counseling. The book contains step-by-step plans for short-term counseling, copies of a covenant for pastoral marriage counseling, and questionnaires for use in analyzing marital situations.